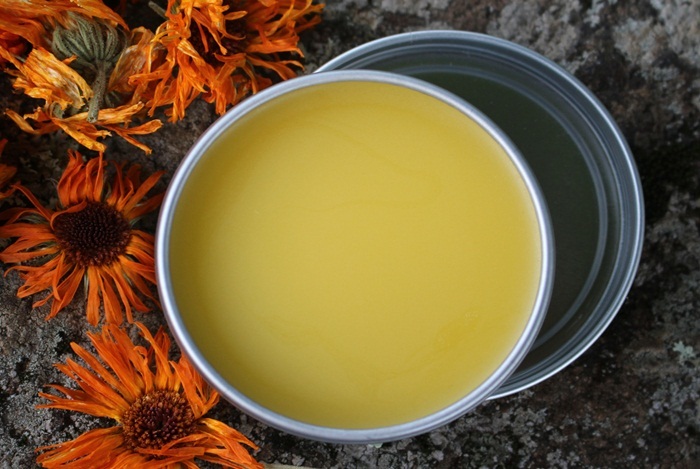 Learn how to make a natural home Vaseline: Very easy! In preparing our own Vaseline at home we make sure that the ingredients are completely healthy and ecological. In addition, we can give a touch of color, or taste, our taste. As you know, Vaseline has many uses in our daily lives, from the lip that prevents us from drying lips, moisturize your hands and even to remove waterproof mascara our eyelashes. Now, did you know that Vaseline we buy in stores is made ​​from petroleum? Far from being as natural and medicinal as we believe, petrolatum marketed goes through different processes for their manufacture that not everyone knows, and it’s worth taking into account. So, always be more suitable work it home with natural and healthy ingredients. We offer a great result and it will be very practical in day to day. How can I develop my own Vaseline at home? As you have noted, the Vaseline normally bought in stores or perfumeries is obtained from petroleum. If you are very refined, for example, will have a white color and is used in cosmetics and pharmacy. It is the great lubricant and moisturizer we all know. If it is less refined, you will have a yellow color and, in this case, will be exclusively for industrial use. And health agencies are responsible for putting the necessary measures to ensure that it is not directed to human consumption. So, you see, Vaseline, depending on their degree of treatment, will use or another, but the origin is always synthetic, derived from petroleum and, therefore, is a chemical pollutant. Vaseline can say that we use every day have no risk to our health, at least in the short term. However, we know that is not a natural element, and it is common for some people suffer reactions with allergies to this cosmetic. Solution?Always worth elaborate it at home, although it is cheap. If you like to make your own beauty products, we are confident that you’ll love to have your natural Vaseline. You dare? The 3rd grams of waxbees. (You can find it in natural stores and specialist perfumeries). 50 grams of cocoa butter or butter. 3 drops of an essential oil, which you like, for example, rosehip oil. A plastic or wooden spatula, never metal. A glass jar previously disinfected. A medium sized pot where elaborate cooking. How do I create my own home Vaseline? We start putting olive oil in our pot over low heat. Should be taking moderate temperature, never hit. Once it is hot, add the beads beeswax that’s bought in the natural store. You will see that they are falling apart slowly. The most important thing in this process is to let go slowly, never raise the level of fire because, otherwise, we would lose many of the natural components of the own beeswax. Go stirring with your plastic or wooden spatula. When you notice that beeswax has melted, add the cocoa butter or shea, which you have chosen. By the time you see the beeswax, butter and olive oil have created a homogeneous liquid, and can remove the mixture from the heat and bring it to the glass jar that has prepared, and previously disinfected. Very easy! And what do we do now? It’s time to add those three drops of essential oil of rosehip (or your choice). It is important that you do when the mixture is no longer hot because, otherwise, the essential oil also loses many of its properties. Stir well to make it unified. You have made​​your home Vaseline list! As you can see, it is a really easy process that we can relax. You get a totally natural cream with softening, soothing, antimicrobial, healing anti-inflammatory, and. All of these benefits are due mainly to the properties of beeswax, so try to buy it in a store where you ensure that its origin is organic and completely reliable. Worth it. No need to put it into the refrigerator. Vaseline itself acquires a compact consistency that can last you several weeks in perfect condition. You’ll see how well you fare! Do not hesitate to make yourself at home.